This book provides a comprehensive reference for anyone wanting to study the way in which modern vehicle engines work, and why they are designed as they are. The book covers virtually all configurations of commercially-produced engines, and features the latest engine technology - - including up-to-date coverage of electronic engine management and exhaust emission control. Chapters cover: Valves and camshafts; Camshaft chain belt and gear train drives; Engine balance and vibration; Combustion chamber design and engine performance; Induction and exhaust systems; Supercharging systems; Carburetted fuel systems; Petrol injection systems; Ignition systems; Engine testing equipment; Diesel in-line fuel injection pump systems; Diesel rotary and unit injector fuel injection pump systems; Emission control; Cooling and lubrication systems; and Alternative power sources. If there is one thing Ford Enthusiasts have learned over the years, deciphering which parts work with which engines is a far more difficult task with Fords than with many other engine families. Will Cleveland heads fit on my Windsor block? What is the difference between the two distinct families of big-blocks? What heads are available for use on my small block? Can I gain compression by using older model cylinder heads? Which pulleys should I be able to use on my engine swap? These are just a few examples of common questions Ford fans have. These, and many other questions are examined in this all-new color update of a perennial best-seller. Thoroughly researched, High-Performance Ford Parts Interchange includes critical information on Ford's greatest V-8 engines and goes into great detail on the highly desirable high- performance hardware produced throughout the '60s ,'70s and 80s. By combining some of the best parts from various years, some great performance potential can be unlocked in ways Ford never offered to the general public. Following the advice in High- Performance Ford Parts Interchange, these engine combinations can become reality. You will find valuable information on cranks, blocks, heads, cams, pulleys, intakes, rods, pistons, and even accessories to guide you through your project. Author George Reid has once again done extensive research to accurately deliver a thorough and complete collection of Ford V-8 information in this revised edition. Knowing what internal factory engine parts can be used across the wide range of production Ford powerplants is invaluable to the hot rodder and swap meet/Ebay shopper. A must-have for every Ford enthusiasts library. In How to Supercharge and Turbocharge GM LS-Series Engines, supercharger and turbocharger design and operation are covered in detail, so the reader has a solid understanding of each system and can select the best system for their particular budget, engine, and application. The attributes of Roots-type and centrifugal-type superchargers as well as turbochargers are extensively discussed to establish a solid base of knowledge. Benefits and drawbacks of each system as well as the impact of systems on the vehicle are explained. Also covered in detail are the installation challenges, necessary tools, and the time required to do the job. Once the system has been installed, the book covers tuning, maintenance, and how to avoid detonation so the engine stays healthy. Cathedral, square and D-shaped port design heads are covered in terms of performance, as well as strength and reliability of the rotating assembly, block and other components. Finally, Kluczyk explains how to adjust electronic management system to accommodate a supercharger or turbocharger. How to Supercharge and Turbocharge GM LS-Series Engines is the only book on the market specifically dedicated to forced air induction for LS series engines. It provides exceptional guidance on the wide range of systems and kits available for arguably the most popular modern V-8 on the market today. 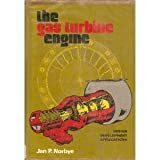 This book addresses the two-stroke cycle internal combustion engine, used in compact, lightweight form in everything from motorcycles to chainsaws to outboard motors, and in large sizes for marine propulsion and power generation. It first provides an overview of the principles, characteristics, applications, and history of the two-stroke cycle engine, followed by descriptions and evaluations of various types of models that have been developed to predict aspects of two-stroke engine operation. No other book gives you better insight into the expert preparation of engines for racing and high-performance road use, whether your interest lies in street, oval track, drag, or stock car racing. The first chapters explain the fundamentals that govern high-performance engines: thermodynamic laws, gasflow, mechanical efficiency, and engine materials and construction. Understanding these basic factors is crucial to making correct decisions when tuning or modifying your engine. Actual engine preparation techniques are described in the middle section, including cylinder head work and balancing and blueprinting. The final part of the book focuses on modifying specific engines: American V8s, Porsche 911, Volkswagen Air-cooled and Water-cooled, Cosworth BDA, Formula Ford 1600, Datsun 4- and 6-cylinder, and Mazda rotary engines. You'll learn proven techniques to increase performance and reliability, and, just as important, which modifications won't give you meaningful gains. Part of the new Foundations of Game Development Series! Almost every video game on the market today is powered by a game engine. But, what is a game engine? What does it do? How are they useful to both developers and the game? And how are they made? These, and other important engine related questions, are explored and discussed in this book. In clear and concise language, this book examines through examples and exercises both the design and implementation of a video game engine. Specifically, it focuses on the core components of a game engine, audio and sound systems, file and resource management, graphics and optimization techniques, scripting and physics, and much more. Suitable for students, hobbyists, and independent developers, this no-nonsense book helps fine tune an understanding of solid engine design and implementation for creating games that sell. The first book of its kind, How to Rebuild the Honda B-Series Engines shows exactly how to rebuild the ever-popular Honda B-series engine. The book explains variations between the various B-series designations and elaborates upon the features that make this engine family such a tremendous and reliable design. Honda B-series engines are some of the most popular for enthusiasts to swap, and came in many popular Honda and Acura models over the years, including the Civic, Integra, Accord, Prelude, CRX, del Sol, and even the CR-V. In this special Workbench book, author Jason Siu uses more than 600 photos, charts, and illustrations to give simple step-by-step instructions on disassembly, cleaning, machining tips, pre-assembly fitting, and final assembly. The book gives considerations for both stock and performance rebuilds. It also guides you through both the easy and tricky procedures, showing you how to rebuild your engine and ensure it is working perfectly. Dealing with variations for all B-series engines foreign and domestic, VTEC and non-VTEC the book also illustrates many of the wildly vast performance components, accessories, and upgrades available for B-series engines. As with all Workbench titles, this book details and highlights special components, tools, chemicals, and other accessories needed to get the job done right, the first time. Appendices are packed full of valuable reference information, and the book includes a Work-Along-Sheet to help you record vital statistics and measurements along the way. You'll even find tips that will help you save money without compromising top-notch results. In 1997, the LS1-powered Corvette hit the streets. At the time, the new LS1 garnered much fanfare, but in reality, its release marked a seismic advance in V-8 engine technology that ushered in a new era of performance. The LS1, featuring ground-breaking architecture, was the first of the third generation of LS engines, which delivered towering performance and efficiency from its compact design. High-performance enthusiasts quickly gravitated to the wide range of Gen III and IV LS engines that followed, and these engines were transplanted into hot rods, muscle cars, sports cars, and many other vehicles. F-Body cars, such as the Camaro and Firebird, and also how to install these powerplants into non-GM muscle cars, sports cars, trucks, and of course, hot rods. This book includes a historical review, complete specs, and detailed information so you can select and fit the best LS engine for a particular vehicle and application. A section on mounting kits, explaining how to install these engines into a variety of cars using readily available motor mount kits, universal engine mounts, or fabricated mounts. In addition, the book shows you how to perform necessary oil-pan modifications and adapt accessory drivers as well as choose the most suitable fuel pump, exhaust system, wiring harness, and electronic control module. This guide takes it a step further, revealing how to select the best reprogramming equipment and software for a vehicle and its application. Finally, the book covers the range of compatible transmissions for LS engines. How to Swap GM LS-Series Engines into Almost Anything is your complete guide for swapping the legendary GM LS Gen III and IV engines into any vehicle and creating a truly unique ride. There comes a time in every automobile's life when the engine just doesn't perform as it should anymore. It may be burning oil, it may be leaking, the compression may be so low that it only starts on cold days, or maybe it just isn't very efficient anymore. When all of this happens, you have to decide whether to just dump the car and replace it, or add some new life to your old car by rebuilding the engine. Rebuilding the engine in any used car, much less a classic, seems like a much more attractive option when you can save a lot of money by doing it yourself. Sometimes the savings are the difference between keeping your car or letting it go. If you want to keep you car running strong and lasting for years, this is the book for you. A part of CarTech's Workbench Series, How to Rebuild Any Automotive Engine covers the basics of any engine rebuild in over 400 color photos of step-by-step instruction. Subjects covered include preparation and tool requirements, engine removal, engine disassembly, machine work and clean-up, short-block assembly, final engine assembly, installation, start-up, and break in. Also visited are the options of purchasing crate engines, remanufactured engines, and performance upgrades. This book applies to all cars on the road that feature an internal combustion engine. Spend a little on this book and save hundreds down the road. Provides step by step strategies to analyze, control, and design diesel engines, their systems, and major components. Also provides methods to calculate diesel engine systems for optimal performance, efficiency, and maintenance in marine, industrial, manufacturing, and automotive applications.